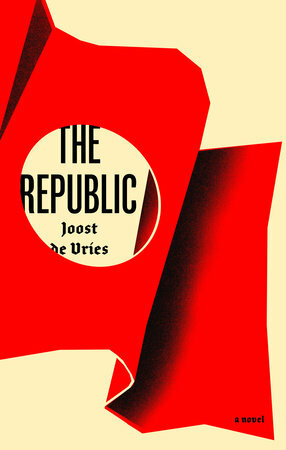 The following is from Joost de Vries' novel The Republic. In the wake of his mentor's death, Friso de Vos mourns quietly and jealously while another young academic, Philip, is interviewed about the deceased. Friso impersonates Philip at a symposium and everything falls apart. Joost de Vries is an editor at De Groene Amsterdammer. In 2013 he was awarded the Charlotte Köhler Stipendium, and his second novel, The Republic, won the Golden Book-Owl prize in 2014. Moments after arriving in Chile I slipped on the aircraft steps, and although my fall was broken by various items of hand luggage and the elderly couple in front of me, I still hit the tarmac with considerable force. I mostly felt embarrassed. A stewardess hurried over and took me to a first-aid post at the terminal, where a young doctor cleaned and bandaged the graze on my upper arm. Sorted. A mere ten minutes later I was in a taxi. Three days afterward I woke up much earlier than usual, feeling feverish. The graze was fiery red and tingled icily when I touched it. The faculty secretariat gave me the name of a doctor who could see me that afternoon. I waited for three quarters of an hour in an otherwise empty waiting room before my name was called. The doctor, an older man with a bow tie, shrugged his shoulders when he saw my arm. “It happens sometimes,” he said, and sent me away again with a strip of acetaminophen tablets. I felt shortchanged but relieved. That evening I rang Hitler Lima junior to arrange a lunch date, but he invited me to come for a drink in his local bar that same evening. Its walls were painted green and yellow, there were woven baskets with tortilla chips on the counter, and the guitar music on the radio drowned out the sound of the television. It was exactly how I’d pictured Chile. We sat down under an enormous painting of a purple horse that was being watched from a distance by blue Indians—not Incas, but North American Indians, as in cowboys and Indians. There was a low, persistent humming noise; it sounded like air-conditioning, but it was hot and all the doors and windows were open. Hitler junior told me the painting had been donated by an artist friend of his who often came here, like many other emigre members of the urban intelligentsia. He pointed out the people at the bar: she was a journalist, he was a lawyer, that person was a writer, the other a former actor, that man was a university lecturer, that woman taught singing at the music academy. The renowned Chilean poet Lopez Truijla had been a regular here, too, he told me, but he’d hanged himself the week before, from a fig tree in his neighbor’s garden. The news had raced through that little world like an escaped predator. I asked if there was anything specifically unhappy about Truijla’s circumstances, but Hitler shook his head. Nothing special, he’d just been washed away by life. He talked a little about the artists who’d influenced him and the things that inspired him, and asked me who my favorite artist was. As a Dutchman, I must surely love Rembrandt’s warm luminosity or the celestial serenity of Vermeer? I thought about it and said that I liked Vermeer, not for his serenity, but because his paintings always resembled a backdrop from which something had just been removed. I said that, leaving nationality aside, I’d always been a great fan of Damien Hirst. –But tell me: Is that art? Or is it art about art? He told me more. He was divorced, had a little daughter whom he was allowed to see once every two weeks. His ex had cheated on him, with someone she’d met online— and now he wasn’t allowed to see his little girl! And his ex was living in the house that he’d bought, with the new guy! A telemarketer! He told it all with infectious good humor and no shame whatsoever. He said he’d met Josip Brik and was “deeply, deeply” impressed by him. The one time he stopped talking, his face seemed to retreat: instead of giving it volume, his beard accentuated his hollow eye sockets, his bony cheeks. From a distance he looked like the corpse of Che Guevara. I told him I’d already rung up a few Chilean Hitlers. We arranged that I’d visit him in his studio later that week, so I could see his paintings, and when I stood up it was as if my head was three times heavier than the rest of my body and I fell forward like a complete idiot, sprawling across the table, crushing beer bottles, tortillas, and table legs on my way to the dusty floor. Hitler and the lawyer (or was it the former actor?) helped me up. I said I’d gotten up too quickly, the beer hadn’t agreed with me, tired, jet lag, etc., but nevertheless, Hitler placed a concerned hand under my arm and led me to a taxi, instructing the driver to take me back to my lodgings. The apartment was on the edge of the campus, in the east of the city, and I had to share it with a Frenchman of about my age, whose only visible presence in the first few days consisted of an atomizer on the kitchen table. He used it to blow marijuana into a plastic bag, so that he could smoke without really smoking. Jean-Philippe scarcely if ever left his attic room, and his PhD thesis was, guess what, “Hitlerian Revenge Plays,” based on a grand total of two one-acters by obscure playwrights that Brik had put him on to. He’d drawn a little face on the plastic bag or balloon with permanent marker. When the bag was inflated it smiled cheerily, but when it was empty it turned shrunken and geriatric. The apartment was small, and I’d told Pip in an email that it was cozy, but it was too cozy, too small. My bed was only two yards from the toilet, whose cistern dripped audibly all night long like a small child with a perpetually runny nose. In the days that followed I hardly got out of my damp bed, even to draw the curtains or open the window a crack. The first night I had a feverish dream in which a procession of large geometrical shapes advanced on me relentlessly, which I had to push away one by one, as if in some living game of Tetris. During another dream I wet the bed, like a moron, and when I woke up I lay there for a few hours, miserably stewing, before I could summon the energy to get up. I listened to the dripping of the toilet for hours, focusing on it to the exclusion of all else. My heart rate suddenly shot up to 120, 130 beats a minute, though I lay as quiet as a mouse in bed, like someone in hiding, as if my heart had rejected the rhythm indicated by my body, suggesting it wasn’t my body. The second day I dragged myself to the sofa and spent hours staring vacantly into the distance. I was aware of my delirium and became obsessed with the idea that I had to play along, to take on the role of the sick, delirious patient losing his grip on reality, and I began to intone softly: Where am I, who am I, where am I, who am I—two questions whose answers I knew—Chile and Friso—but that I couldn’t stop asking, because there was something addictive and mesmerizing in that thumping repetition of where am I, who am I. I was alone. On the third day Jean-Philippe came to see me. I’d stuck a Post-it on the door of the fridge, asking whether he had any antibiotics, but he’d been unable to read my writing, the squashed handwriting of a child, with letters flattened like empty Coke cans. The Frenchman got me a glass of iced water. “Are you going to be all right?” he asked, and I answered that I had to be, because on Thursday I had a date with Hitler, the one and only, and Jean-Philippe knelt down next to me and felt my forehead. He appeared to be transparent. That’s how it seemed to me, so close up. I thought I could see right through him. 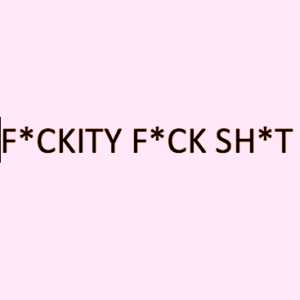 –But it’s already Saturday, he said. In the hospital I hoped to be stripped of my identity, and to exist at most as a medical case or a patient number, relieved of reason or independent will. My doctor was a Susan Sontag-ish woman with a mild, pained face. A long, melodious “Ayeee” escaped her lips when she saw the red irritation around the graze, which now covered an area two or three times the size of the wound. In the wound itself you could see deep purple spots. There seemed to be an egg under my skin, level with my elbow. She asked me questions and told me I had all the time in the world to answer, and I wanted to answer in proper sentences, God knows why—to prove that I was educated, that I was linguistically competent, or that illness just wasn’t my thing?—but a jumble of words emerged from my mouth before I realized I was just jabbering away. I knew I was jabbering and yet I couldn’t stop, and Susan Sontag looked at me kindly, illness as metaphor, and I was too exhausted to go on talking. She wanted to know where I came from and what my date of birth was, and I knew these were easy questions, but I had to grab my passport out of her hands and take a sneaky look before I could answer them. –I’m here to see Hitler, I said. Procedures, tests, and diagnoses followed. I was too sick to be repatriated, a doctor told me. My next of kin would have to be notified; the embassy was being informed. Another doctor told me I’d be given a course of intravenous treatment that sounded exactly like chemotherapy. Susan Sontag said that if I wanted, I could have a skin transplant later to camouflage the scar tissue of the wound. Everyone confirmed that this was a very rare infection. Extremely rare. I nodded, yes, yes, yes, and was grateful and scared to death because I had no idea exactly how scared I should be. I do remember someone from the Dutch embassy coming to check on me, a youth with prematurely gray hair and round spectacles. He told me my emergency contact person had been informed of the situation and that the embassy had arranged a flight for her, paid in advance. Everything was going to be fine, he assured me. There was one thing I should know, he said, and he added that he’d hesitated to tell me this, but felt it would be wrong to hide it from me: Josip Brik was dead. He’d fallen out of a window in Amsterdam. The circumstances were still being investigated. To establish whether or not it was an accident. It had been in all the papers. That evening, the blitzkrieg between my white blood cells and the infection escalated, my temperature soared even higher, and during a long period of delirium I couldn’t remember Pippa or Brik, only the boy from the embassy, and I couldn’t recall whether he’d told me that I’d died or someone else had, because everything had fused in my head. I got through the weeks that followed, though looking back, I can’t think how. Most of my hair fell out, to the extent that a nurse finally shaved my whole skull with clippers, to be rid of the tufts drifting everywhere. Every day I had to drink four to five liters of water, with a salt tablet in every glass. I had to sweat out the infection, I was told. I stopped asking what would happen now, and what would happen next, and what would happen after that. I lost eighteen pounds. I remember looking up and seeing Pippa’s dear, familiar, shocked face in the doorway, and she walked toward me slowly and sat down on the bed and we both cried uncontrollably. I tried to remember when I’d last seen Brik. It was just before I left for the airport, and he’d stuffed a wad of Chilean pesos into my hands. “Hasta la victoria siempre, Friso!” He’d stood there for a little while, as my taxi drove away, and made a little waving movement, as if he were gesturing to a waiter for the bill. Excerpted from The Republic by Joost de Vries, published by Other Press on 30 April 2019. Copyright © Joost de Vries. Reprinted by permission of Other Press.